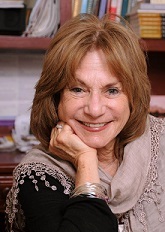 A Meditation on Life, Love and Being a Therapist – Judith Ruskay Rabinor, Phd. Minutes earlier on that windy November day, Ella had come into my office in a mood of triumph. She told me she had finally decided to leave her husband, Al. When Jeremy, their youngest son left for college in September, she would file for divorce. After 21 years and four children, all on their way to adulthood, she was ending her marriage. “You’ve been asking me to think about what I’m hungry for ever since I started therapy. Now I realized: I’m hungry for freedom, I’m hungry for a new start,” she said. Ella had begun therapy two years earlier complaining about her weight. It didn’t take long before we began looking at her inner hungers—which were both hidden and expressed in over-eating. Before long, she became aware of an inner emptiness—and a sense of isolation, which inhibited her speaking up or reaching out to others. As she began giving voice to her inner pain, many of her intimate relationships improved. She became more genuinely connected to her sisters, parents, and a few important friends. “Was that a Freudian slip?” Ella said. Freudian slips are defined as unintentional errors revealing subconscious feelings. What was happening? For the past months I’d listened to Ella grieving about her unfulfilled marriage and I supported her exploration of divorce as an option. But my slip—how did I really feel? “It was,” I said, feeling at first embarrassed and before long, a bit curious. When a patient makes such a slip, I am always intent on understanding what feeling or thought needs to be addressed. And here I was in the same boat, having made a slip that made me want to shrink away. A nervous, inappropriate giggle began to form in my gut, but Ella rushed on, as if I hadn’t spoken. Absorbed in her own agenda, she minutely catalogued Al’s shortcomings—listing the past weekend’s injuries: inconsideration, self-absorption, selfishness, and narcissism—justifiable evidence for her decision to divorce. “I need to stop you,” I said. “You’re right, I made a Freudian slip. And it’s important we think about it,” intentionally stressing the “we.” Although the slip was mine, and I wanted to take responsibility for it, I imagined it might have implications for the both of us. A bell went off in my mind. Binging on spare ribs was what had initially brought Ella into treatment two years earlier. We had worked hard helping her learn to identify and sit with the uncomfortable emotional feelings that so often triggered the urge to binge. Just now she had clearly stated she finally identified what she was hungry for: freedom and divorce. Although she sounded confident and determined—binging on cold spare ribs signaled trouble. I wondered if it was her “decision to divorce” that had triggered this binge. And my “slip?” Ella seemed more than willing to sweep away my “innocent mistake,” but I imagined it had impacted her—for it certainly impacted me! Why had I said what I’d said? As I asked myself this question, a memory from 25 years earlier popped into my mind. It was the Thanksgiving before my divorce was final. I’d been separated from my husband for several months, and was driving with my two children to my brother and sister-in-law’s home in Philadelphia for the holiday weekend. A light snow was falling and the icy road terrified me. At that moment it dawned on me: my ex had done 90% of the driving and would have definitely been at the wheel in this snowstorm. A new realization was born: being married had sheltered me from all kinds of anxieties, snowy roads being the least of what lay before me. “Yeah Ma, why?” chimed in nine-year-old Rachel. “Because we are going to be with your cousins.” I said. “We’re going to be with our family for Thanksgiving.” I was trying to sound bright and excited, even though by now I realized it wasn’t just the icy roads I dreaded. As Ella and I sat in the silence, tears gathered behind my eyes. The power of this old memory amazed me. Touched me. I wondered why these old memories were surfacing now—and what to do with them. The words of an old professor surfaced, “A good therapist is always struggling with the question: what does it mean to be responsive and genuine in this very moment?” Was the pain of my own life really relevant to Ella? Now I was the one to feel bewildered and uncomfortable with the unexpected memory that had emerged. How, I wondered, could I utilize my own personal pain and suffering in a responsive and responsible manner? Eventually, I felt an inner shift, and a direction emerged. “Are you willing to do an experiment?” I asked. Ella nodded. “Close your eyes, and breathe deeply,” I said, as I lowered my voice and set the stage for a guided imagery exercise. My goal was to present an evocative scenario that might allow her access to the concerns and fears I imagined lay buried beneath the spare ribs. I stopped talking and after a pause, Ella opened her eyes. “What came up for you?” I asked. “It wasn’t what I expected.” Her words echoed. I was amazed. She uttered the very same words I’d felt on that snowy Thanksgiving day so long ago—being divorced wasn’t what I’d expected. The very same words I’d felt about my Freudian slip. The very same words I felt when my buried grief was evoked. Yes, life brings us so much more than we ever expect—sometimes for better, sometimes for worse. Although now I was happily remarried, more often than I cared to admit, I still dealt with the impact of my divorce on my grown children—and on my own life in a way I never could have anticipated. “I believe my slip might be more about me than you—but I’m not sure,” I said finally. Ella sat silent, wide eyed. My words rang out in the silence. As I tapped into my feelings, I realized how deeply I felt connected to Ella, and protective of her as well. Her life flashed before me. Here sat a woman who had never worked outside the home, was married to her high school boyfriend, and was living an affluent, up-scale life. As I sat thinking, I realized my divorce had been so much bigger, deeper, wider, and more complex than I could ever have anticipated. I had been completely unprepared for all I faced. “You have brought up a lot for me—made me think about so many things I haven’t thought about,” Ella said, and the rest of the session focused on some of the realities she would face living with—and without—Al. “Let’s bookmark dealing with ‘the unexpected’ for our next session,” I said as our session was coming to a close. Ella’s parting words didn’t surprise me. It’s easier to think about the damage of six spare ribs than the realities of divorce. It’s easier to think about gaining two pounds than to imagine grieving a failed marriage. I wondered how Ella would deal with all that had come up in our session. When she arrived the following week, her face glowed. “Last session was a blessing, and I want to thank you,” she said. She had left my office feeling unbalanced. Rather than take her usual taxi, she used the mile walk home to sort through her feelings. “I realized that I never told you that I chose you as a therapist because I knew you had been divorced.” She remembered reading about my divorce in a book I wrote about eating disorders. “You are right,” I said. Suddenly I felt more solid, knowing that speaking from my personal vulnerability was exactly what was needed. The slip had allowed my heart to grow larger, had pushed me to know and accept more of my own lived experience so I could be more fully present with Ella. My words did come straight from my heart. Straight from my own suffering. After she left, I sat in my office, feeling alternating waves of exhaustion and exhilaration. My slip had propelled both of us into unexpected waters. When she’d arrived to our session, I had wanted to convey the importance of the upcoming year as a time to shore up her resources. But something inside me had another agenda. Perhaps, for better or worse, her situation touched my own vulnerability, for when we are truly present in our offices, we are often swept into our own unresolved pain. Witnessing Ella agonize over divorcing her husband drew me back into the realization that I’d made one of the most important decisions with little awareness of the far–reaching consequences to my own and my children’s lives. Yes, certainly I wanted to warn her about the potholes before she set out on a journey. And here she was—turning away from the spare ribs to a camping trip. And telling me something about why she had chosen me as a therapist—something she’d avoided in all our work together. Recently someone asked me if I ever get bored dealing with eating disordered patients. I smiled, thinking of how my Freudian “slip” with Ella allowed both of us to know more about our own strengths, resources and limitations. Most people are unaware that doing therapy offers endless opportunities for personal growth not only for clients, but for therapists as well. All that is necessary are a few crucial ingredients: the capacity to tolerate living in the unknown, a willingness to be vulnerable and explore our lives and our mistakes, and an openness to being swept into the unexpected.